It’s easy to see why America’s public lands are called national… – Sig Nordal, Jr.
March 17, 2018 March 17, 2018 Sig Nordal, Jr.
It’s easy to see why America’s public lands are called national treasures, with stunning views like this shot at Yellowstone National Park! 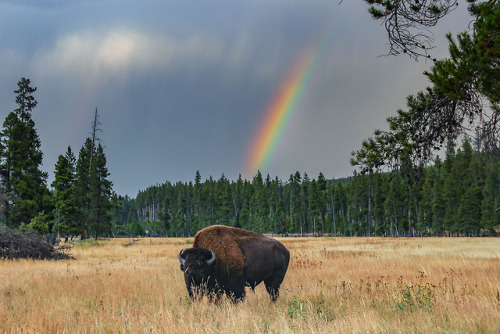 While we can’t promise you’ll find a pot of gold at the end of every rainbow, you might find a bison 😀. Happy St. Patrick’s Day! Photo courtesy of Christina Adele Warburg.